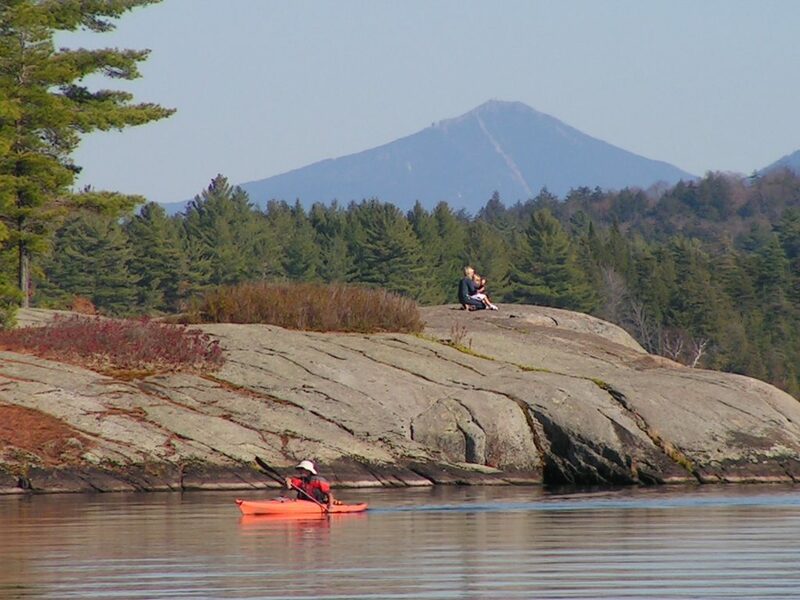 Located at the northern end of Upper Saranac Lake, this small island was originally part of the Saranac Inn property. When the Inn was auctioned off in the 1960’s it was purchased and used as a private campsite with a makeshift ‘storage shed’ small enough to get around the local building code. In 1991 it was purchased by the Upper Saranac Foundation with donor funds designated specifically for that purpose. The structure was removed and the Island returned to its natural state. The island is currently preserved for the enjoyment, picnics and swimming by Lake families and visitors. No camping, campfires or alcohol are allowed.